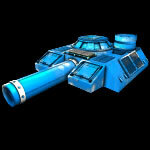 The Modify Units & View Army panels have been revamped to improve performance. These pages now automatically save any changes you make to them, you no-longer need to confirm changes to these pages. Also, there is now on-screen feedback for Integrating and Activating units. Lastly, you can now assign a unit to a Task Force from the View Army screen. This allows you to quickly toggle all units in a Task Force in or out of your army depending on your current deployment needs. If you use the Image Pack you can download the new files here. If the Integration chance is failed a destroy check is made for one Tear, if the Tear is not destroyed a new Integration check is made, this process repeats until Integration succeeds or a Tear is destroyed when Integration fails. This process improves the chance of Integration above the percent-chance to integrate listed above. Players without TinyDayz can rejoice, your day has come: Unit and Mod restrictions are lifted. You can now use / build all Units and Mods except for Uniques. This means that Advanced units and Intermediate / Advanced mods are now fair game. This will give players without TinyDays a more complete TinyWarz experience. To balance this, players without TinyDays can no-longer build / deploy bases and are restricted to the following planets - Wulf, Taris, Riona, Esika, Konu. To cut down on the confusion of which planet to deploy to new players will now gradually gain access to planets as they level-up. Initially only Taris and Riona can be used, then Wulf is added at Level 3 and Esika / Konu are added once a player reaches Level 5. At Level 10 all planets are unlocked. 1) It gave too much of an advantage to large factions: Large factions with lots of shared construx had a huge advantage over smaller ones. There should be some advantage to shared construx, but not a massive one. 2) Removed need for dedicated builders: With everyone receiving the bonus for all the construx a faction had everyone in the faction could be a builder lessening this role in the game. 3) Removed need to rely on construx: Again this gets back to the large-faction advantage. Having unlimited shared construx made larger factions more desirable because of their huge library of build-able items any of which could be created risk-free. 4) Killed off Construx trading market: This used to be a very robust in-game market and a great way to make some additional TinyBucks for the savvy trader. Unfortunately, because of the decreasing demand for construx (because a player could just join a faction with lots of shared construx) this market has been hurting for some time. 5) Not in the spirit of TinyWarz: One of the theme's of this game is to *individually* trade and collect construx. Having unlimited shared has pretty-much removed this from the game. The construx you have are, in-a-way an extension of you and what you bring to a faction. A player should be considered valuable for the things he or she can build for a faction, not the other way around. The server will be down for maintenance at 6pm PST to install more RAM. TinyWarz will be offline for 20-40 minutes while this update takes place. Also: Part of the next update will contain improvements to how mod data is organized on the server. This should provide a performance improvement, especially for users & factions with a large number of mods. Unfortunately, this update will remove all mods (except for integrated mods) from units and all mods from the market; this is necessary due to the difference between the old and new mod code. To best prepare for this update, note your mod & unit set-ups now so you can quickly re-build them once this code is added to the server. Crews will not be removed from units when this update is applied. - New Merit has been added, Acti Master - All Actis on the unit gain -1 Cooldown / +1 Charge, Regen +1 Charge every 10 Turns. If you are using the Image Pack you can download the image for this merit here. New tutorials are being added which will help players learn how to play TinyWarz. The first of these guides on how to create and modify your army has already been posted. New players will automatically be directed to the tutorial index when they join the game to make it easier to find help. Faction War planets now support Super Nodes! If one faction is able to capture all of the Nodes on a Faction War planet (Hellion or Infernus), one of these Nodes will be randomly converted into a Super Node. A Super Node pays out Faction Points similiar to a stardard Node except at horizon. At horizon a Super Node will pay out 1,000 Faction Points to the faction which controls the Node at that time. Only one Super Node can be created per planet. A planet's deploy information will display which Node is the Super Node, this information is also broadcast on the planet from time to time. A faction must capture all Nodes on the planet by the 3,000th turn (1,500 turns before horizon) in-order to create a Super Node. Other than the additional faction point pay-out a Super Node has no other special properities and can be captured or re-captured like any other Node. Also, Ore amounts in ore deposits on non-PvP planets has been slightly increased to help starting players gather starting resources faster. Damage reduction Mods for Ballistic, Missile and Energy attacks have been reworked. The reduction amounts on all these Mods has been increased from 20% to 25% and from 40% to 50%, these effects now also stack. Damage reduction is capped at 60% in each weapon category; the additional reduction bonus for building damage has been removed. The Dark Inquisitor (50% Energy) and Phase Guardian (25% all types) Meka have had their damage reduction amounts increased. New players now receive a larger selection of units / mods and starting factions now also have more shared construx to build with. Starting players no-longer receive two Construx packs. If you choose to change your username, your old name will appear as an aka in your user profile. Your new name will automatically appear in any messages, sales, or actions you performed before the change. All user feedback is also retained after you change your name. You can change your name from the Headquarters -> TinyBucks panel for 50 TinyBucks. - The Dark Inquisitor Meka now receives a 40% reduction in Energy weapon damage taken. - Steeltec Repair Droid now repairs 25 Armor per turn (was 20). Faction Leaders with less than 20,000 Faction Points can now purchase 10,000 Faction Points for 100 TinyBucks from Faction -> Admin -> Levels. This is a one-time only purchase, the faction can never be merged with another faction if this purchase is made. If a faction makes this purchase, it must wait until a total of 30,000 Faction Points are earned before purchasing Faction Construx with Faction Points. New Faction Construx are now available! Factions can gain additional construx from the current pool of Faction construx including new rare construx which allow the construction of previously unbuildable meka and vehicles. Faction Leaders can now purchase additional Faction Construx for 3 TinyBucks and 100 Faction Points each. Each construx purchased this way is randomly chosen from the current pool of Faction Construx, including the new Dark Inquistor Meka. With each purchase there is a chance that a rare construx will be created instead. With each purchase a faction has a 16.7% chance of gaining an Advanced Construx, a 33.3% chance of gaining a Intermediate Construx and a 50% chance of gaining a Simple Construx. After the complexity is determined, there is a 20% chance that the construx will be a rare (non-faction) construx. If you are using the Image Pack, you can download the additional files here.